An ideal family homes designed with plenty of space for modern living. 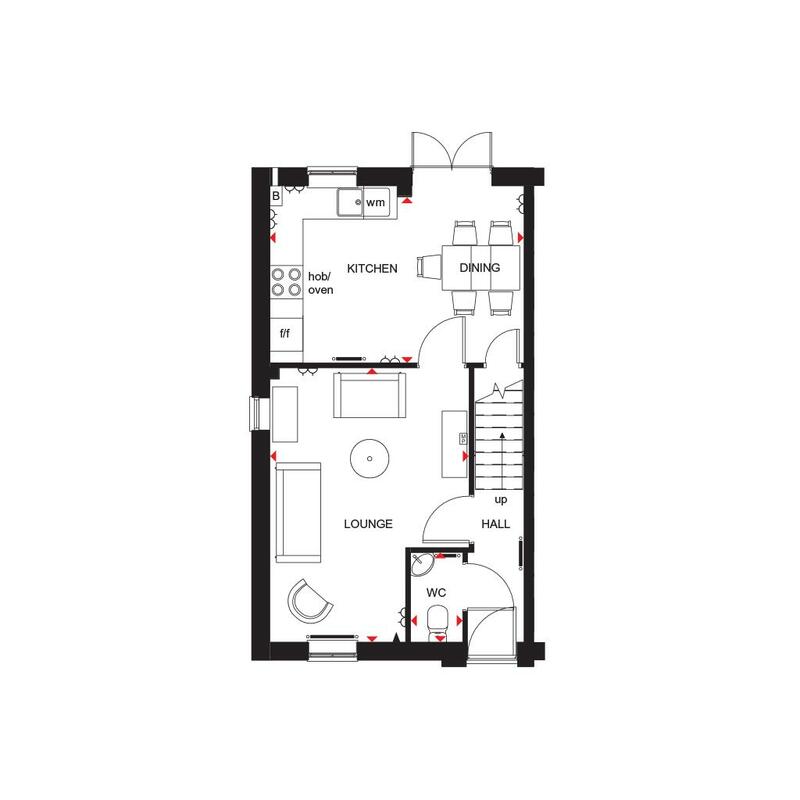 The ground floor has a dual-aspect lounge and an open-plan kitchen with dining area and French doors to the garden. 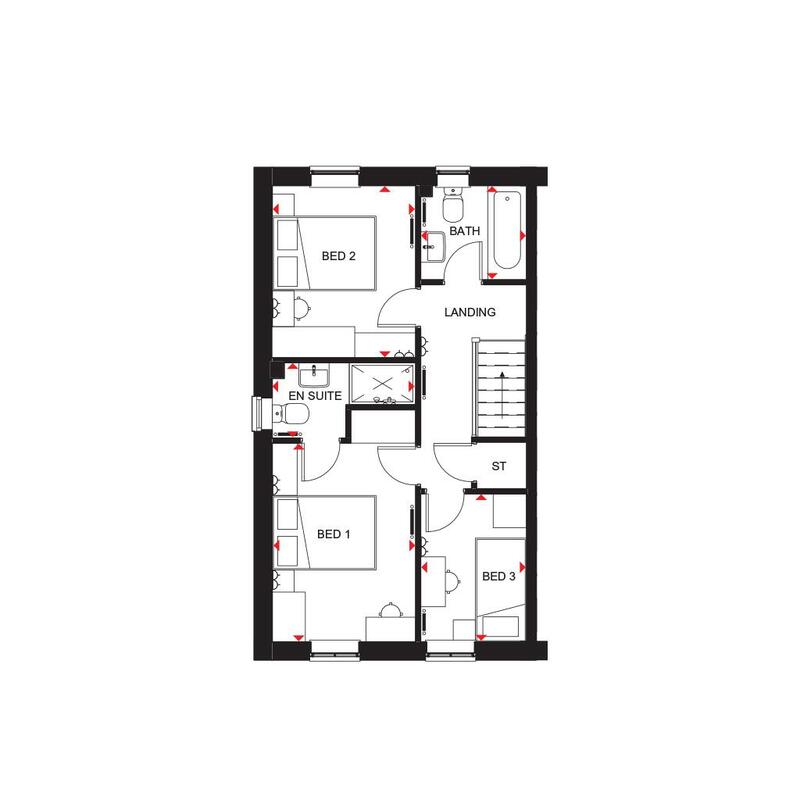 On the first floor are two double bedrooms - the generous master with en suite - a single bedroom and family bathroom. 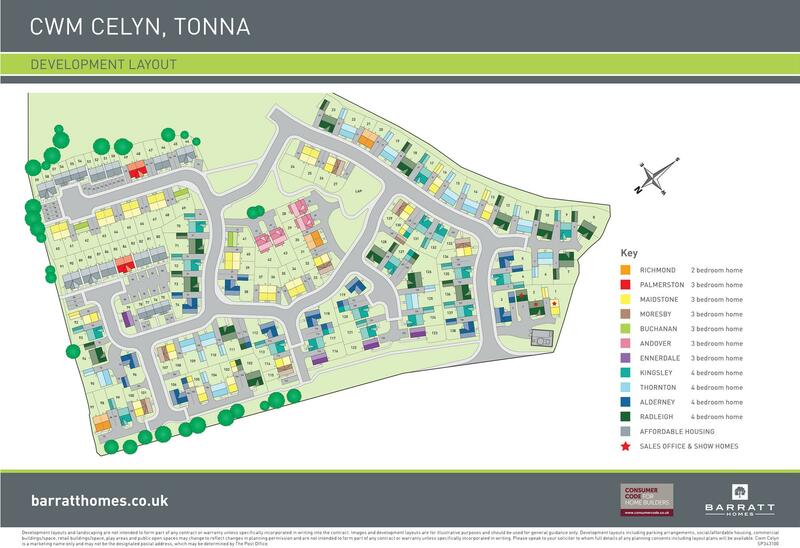 With a collection of beautiful 2,3 and 4 bedroom homes built with both families and first time buyers in mind, Cwm Celyn in Tonna is a great place to call home. In the heart of the valley with the River Neath nearby and surrounded by countryside, it's a great place to come home to and relax. Commuting is easy with excellent links to the M4, giving easy access to Swansea, Bridgend and Cardiff.Sales office & show homes open daily.incentives available on selected plots, speak to our sales advisers to find out more. For those of you who love walking and mountain biking, there are trails, including the popular Aberdulais Falls. It is perfect for adults and children looking to explore the great outdoors with Afan Forest Park and coastal regions nearby such as Aberavon beach. The bright lights of Swansea and Cardiff promise even more cultural diversions and leisure opportunities. Various schools surrounding the development, perfect for families looking to move to Tonna. The Aberavon Shopping centre has over 60 shops and stores, all under cover, so you can shop, meet friends and chat over coffee or lunch in a relaxed, friendly atmosphere. Along with Swansea and Cardiff being known for their great shopping centres, you are truly spoilt for choice. Living at Cwm Celyn in Tonna, your closest train station will be Neath under 2 miles away. This location is perfect for commuting as there are excellent links to the M4, giving easy access to Swansea and Cardiff. Doctors, dentists and shops for all your essential can be find within the Tonna area. Also available in the town centre of Neath. Cwm Celyn has great transport links to M4, perfect for commuters travelling to Swansea or Cardiff. The nearest train station is Neath station, just a short drive from the development. 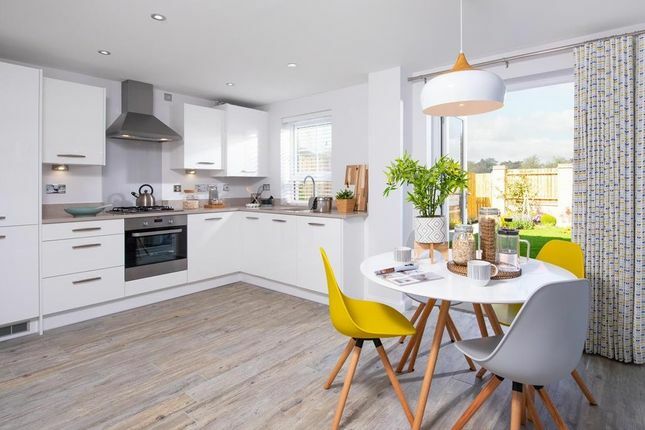 Property descriptions and related information displayed on this page, with the exclusion of Running Costs data, are marketing materials provided by Barratt Homes - Cwm Celyn, and do not constitute property particulars. Please contact Barratt Homes - Cwm Celyn for full details and further information. The Running Costs data displayed on this page are provided by SmartNewHomes to give an indication of potential running costs based on various data sources. SmartNewHomes does not warrant or accept any responsibility for the accuracy or completeness of the property descriptions, related information or Running Costs data provided here.